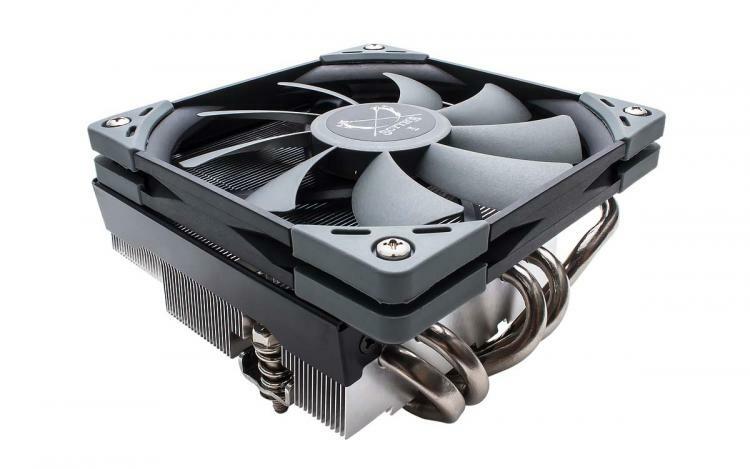 Scythe presents the Big Shuriken 3 low-profile CPU cooler for small-form-factor PCs. The Big Shuriken 3 features the new and improved Kaze Flexx slim fan with a compact size and impressive airflow. The Big Shuriken 5 packs five sintered heat pipes for fast heat dissipation. The Big Shuriken 3 is designed to be compact and low-profile offering maximum memory compatibility and other components on the motherboard. 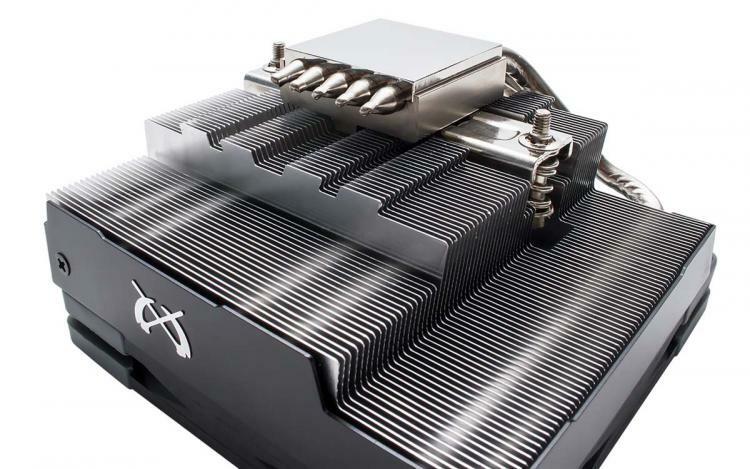 The Scythe Big Shuriken 3 CPU cooler has its heat pipes oriented backward to give an offset and allow unrestricted access to the motherboard’s memory slots. The Scythe Big Shuriken 3 CPU cooler features the new HPMS II mounting system, a user-friendly mechanism with a simple installation process that works on all mainstream Intel and AMD sockets and platforms. The Big Shuriken 3 is just 69mm in height making it ideal for small-form-factor PCs that use mini-ITX motherboards such as HTPCs and SFX gaming PCs. The Kaze Flexx slim fan can also be upgraded with a standard 25mm thick 120mm cooling fan for improved performance. No information on pricing and availability as of this writing. 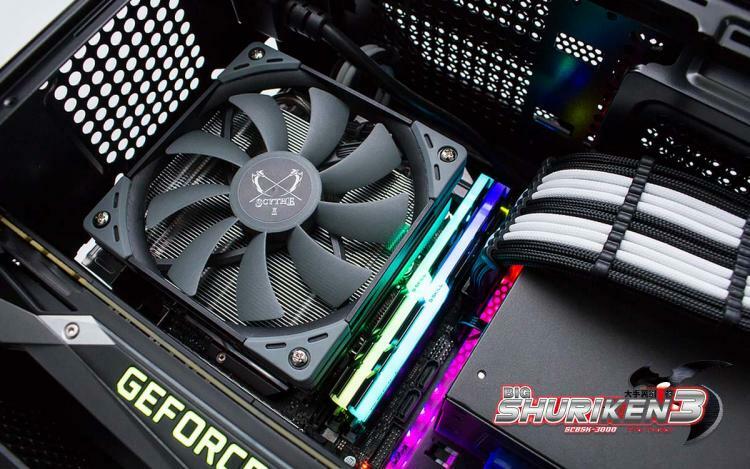 Learn more about the Scythe Big Shuriken 3 Low-Profile CPU Cooler here.